The extravaganza that is the Consumer Electronics Show is nearly upon us...and soon we will be regaled with tales of what the future holds for our technological needs. We are certain that there will be a tonne of amazing advancements in consumer electronics, and will unveil the next must have devices that we no doubt be all over the blogosphere. As the build up to these types of things gain momentum, there are "unintentional" leaks of products that will be making the rounds...and for CES 2012 there is no exception to this rule. 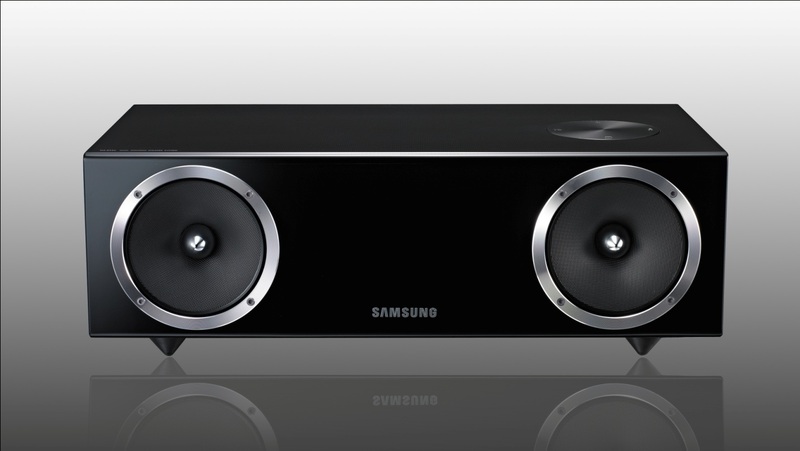 A leak of one of Samsung's upcoming offerings happens to be a new stereo docking system for your iPhone or Samsung Galaxy phone. Pretty boring right? That's what we thought until we read a bit about them. Samsung has opted to go retro, not so much in appearance, but in electronics, in that they have chosen to use a tube amplifier rather than going digital. This is great, as it bridges the gap between the cold digital sounds of modern, electronically stored music with that of the warm sound of the old analog days. We are generally attracted to these types of things strictly from a design point of view (although we'd never post one that didn't sound good) but this thing is giving us the warm and fuzzies just from the tube amplification alone, and we can't wait to have a listen of our own. CES 2012 is from January 10 - 13 in Las Vegas.